To maintain a favourable and attractive image of an organization, a lot of research and critical analysis is done in an effort of capturing the needs of the market and aligning them with the aims and objectives of the organization. Since public relation involves the creation and maintenance of this image, it is essential to understand the situation of the firm and its environment. Proper synthesis of the needs of the organization ensures that the image reflects on the objectives, policies and aims of the business. Strategy planning is influenced and affected by the views and opinions of the different stakeholders involved in the process. However, a favourable strategy inculcates a variety of experience-based instinct data and research that is intended for delivering measurable results for the organization. The organization is thus organized and aligned according to the provisions of the strategy and aims at achieving the stipulated goals. The procedure provided in this paper indicates how Victoria Crosses represent the nation. The focus of this paper ids the Victoria Cross award. According to the Australian government, this is an award of valour that is given or granted to individuals who have had the courage to conquer the enemy (Aph.gov.au, 2015). Members of the armed forces are awarded this, and the only included territories are from Commonwealth countries as well as the British Empire territories. The honour precedes all decoration and medals, and it is the highest order even prior to the order of the garter of the great United Kingdom. In addition to the military, civilians under military command may be awarded this order. The minister of defence is responsible for determining the individuals to be awarded the medal. It is a recognition of self-sacrifice and valour as well as courage under fire. The letter patent saw the creation of the Victoria Cross and was signed by the then Australian queen, Elizabeth II in January 1991. 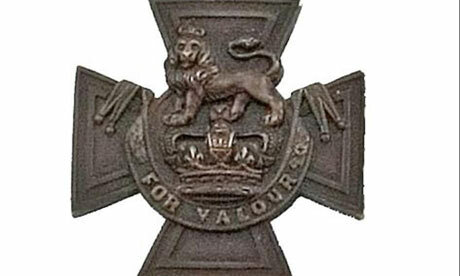 Any individual who is awarded the medal in Australia acquires the post of nominal VC after his name. With the sovereign approval, the governor general is responsible for awarding the cross after the recommendation of the minister of defence. Since its creation, the medal had not been awarded until 2009 when the first medal was awarded to Mark Donaldson, who was a Trooper after a success rescue of an interpreter in Afghanistan. However, he was not the first individual to receive the medal in Australia; the first medal was given in 1969 to Keith Payne after the Vietnam War. However, the circumstances for the two awards were different. Formerly, the presentation of the award occurred a few days later after the initial announcement. In the current situation, the presentation of the award is concurrent with the announcement and the governor general gives the honours in the presence of the Prime Minister (SCHUMM, 2004). The original recipients and the VC for Australia are covered by the veterans’ entitlement act that was formulated and enacted in 1986. There is a variety of reasons that are essential and represented in the award. The medal is a representation of courage and acts as a token of appreciation from the state for the excellent work done by the individual. However, there is a variety of challenges and situations surrounding the presentation and award of the medal. It is worth noting that the soldiers who go to war do so sacrificing their comfort and luxury in an attempt of bringing peace to unstable nations and governments. Therefore, the recommendation for the award is surrounded by a variety of challenges. A majority of the soldiers who go to war never return and the lucky ones who return are either injured or crippled. According to some of the statistics from the Australian department of defence, more than 60% of the soldiers who are sent into hostile environments do not make it back home. The lucky one who still see the light of day have numerous physical, mental and psychological challenges they have to endure with each passing day (DVA, 2015). It is this situation that beg the question of how reliable the Victoria Award is to the soldiers. When the soldiers are in the war zone, they fight as a team and are well organized to follow their commander to stay alive. However, when they return home, they are discriminated on grounds of an award. It is a common occurrence for the commander to be rewarded despite the fact that some of his men may have sacrificed their lives for him to be alive. It is in this regard that the plight of the weak is depicted as the powerful, and the leaders continue to amass power and favour. The situation under analysis is whether it is fair for the medal to be awarded to just a select few who some powerful people consider to be the ones deserving. Is it a form of discrimination in disguise? Does the medal discourage people from joining the armed forces for fear of never being recognized or does it act as a motivating factor for the individuals to be recognized? There are emergent and imminent questions that should be addressed in this case. It is through the challenges surrounding the said situation that the paper ventures into creating a public relations strategy that is recommended for use. One wonders what is more importance; the people are fighting the war and facing death or the image of the country to the entire world? Unlike in other countries, Australia may be considered organized, the men in the uniform who go to fight and keep peace around the world are not entirely downcast and overlooked (DVA, 2015). On the contrary, the returned and services league of Australia keeps a tab for all the men and women serving or retired while on duty in the defence force. The defence forces are among the pillars of the nation. As such the needs of the people serving in this league should be catered for while they are in service or out of service. According to the mission of the returned and services league of Australia, the care, wellbeing commemoration and compensation of the men in service, is essential for the development and progress of the nation. Security and stability are critical for the progress of any nation. It is on these two platforms that the government of Australia capitalizes to ensure that the progress of the people is attained wholly and not partially. There are some requirements in the Victoria Cross and how it represents the nation (Aph.gov.au, 2015). To the majority, and especially the government, it is a symbol of recognition and the highest honour any individual would receive from the nation. However, in the wake of the recognition and the praise, a majority of this men and women may not feel comfortable in being recognized in favour of their comrades. To some, the recognition is not a point of joy, but rather torture as they correlate the events of the war and the outcome. A case of consideration is where a soldier dies in war saving his fellow soldier. Imagining such as the scenario where the saved soldier survives and heads home and is granted the medal, he will not rejoice but will be overwhelmed. The medal will constantly torture and haunt him as he may feel responsible for the death of his fellow soldier. In addition to this, he feels undeserving the medal, and this may lead to psychological torture and trauma. In the end, the individual may result in heavy and reckless drinking. A man who is supposed to be a symbol and icon of hope to the community may end up being the image of pure destruction. To curb the occurrence of such challenges, it is essential to take care of the living and remember the dead. It is the proposition of this strategy that the medal be an award for the participants of the war. Therefore, using this approach the core message would be that all soldier in war and at home are equal. People are often divided on lines of favour. Adopting a platform of equality will ensure that the all the individuals involved in the war are equally recognized (Shields, 2006). The idea behind this factor holds true since once on the battlefield, the enemy’s bullet does not discriminate, the soldiers are exposed to the same conditions, risks and challenges. Therefore, since they share in the agony and misery, they should also all have the chance to share in the celebration and jubilation (Aph.gov.au, 2015). The Australian government should respond to this message sincerely and adopt a free and fair reward system. One that does not discriminate some soldiers in favour of others and align differentiate them on grounds of a medal. Wake up Australia! It is time to honour the war heroes on a similar, fair and free ground. The primary goal is to cater for the challenges facing the men and women who fight for the nation. In this regard, the Australian government has done a commendable job in ensuring the safety and security of the families of the men and women in duty. The returned service men and women needs are catered by the Returned Service League (RSL). However, despite their needs being under a common umbrella, there are some challenges facing the veterans. After retirement, some have nothing to do and despite the rationality that once a soldier always a soldier, some of this men and women end up being dejected. It is for this reason that the idea for this came from a Federal Parliamentary Library report that shows the distribution of Australian Victoria Cross winners by House of Representatives’ electorates. The RSL wants the strategy to extend commemorations of the 100th anniversary of the Allied landings at Gallipoli (Howell & Miller, 2006). There are several stakeholders involved in the formulation and implementation of the proposed strategy. The central to these bodies is the government and especially the department of defence. Others include the RSL, the parliament, the Australian war memorial and the individual members involved in the protection business. Recognition should not one-sided, it is essential to recognize the heroes who fought for the freedom that the people now enjoy. It is paramount to note that despite the fact that these individuals died, their families have the opportunity to enjoy their benefits; the benefits of their sacrifice. It is from this notion that a goal for recognizing the participants of the Allied landing of Gallipoli emerged (SCHUMM, 2003). There are some imminent challenges in the recognition of such heroes, but the challenges should be no barrier for outlining the greater good and needs of the nation. Integrating the various stakeholders should not degrade the image of the VC but should enhance it not only globally but have a similar impact on the parties involved. It is this reason that the objective of this PR proposal is tailored to meet the needs of the defence forces and their families. There are numerous people who dream is to pursue a career in the army. Therefore, the recommendations proposed are not only addressing the current situation, but also any impending and future changes in the force. According to the current situational analysis, it is evident that the VC portrays a heroic image of the individuals endowed with the award to the nation and the world (Awm.gov.au, 2015). However, there are some drawbacks that coexist at the personal level, and that ought to be addressed keenly and on a quick schedule. Aligning the objectives of the proposal to the aims and strategic objectives of the parties involved will ensure that the adopted policy is enacted quickly and in favour of all the participants. The goal of public relations strategies is to ensure the continuity of the organization in favour with other external parties and parameters. Therefore, to adopt a coherent and flexible set of goals ensures that the organization is not rigid in meeting the needs of the people. The primary reason for the existence of an organization such as RSL an Australian war memorial is to honour the soldiers (Aph.gov.au, 2015). To do this effectively, the system has divided the living and the dead. The former addresses the needs of the living while the latter caters to preserve the memory of the dead. The collaboration is done to achieve a common goal; addressing the needs of the defence forces. They are some challenges associated with this model. The distinction overwrites the signing rule that soldiers are brothers. It is depicted in the differentiation from the department that they seize to be brothers when some of them are departed. The case should not hold, and it is, therefore, the goal of the participants to ensure the reputation of both parties are intertwined and eventually integrated together through the adoption of a similar model. In this case, the model may be the adoption of a policy that is signed into law similar to how the VC was enacted into law. Using such a model will not only ensure that the families of the veterans are integrated together, but also guarantee that their needs are met, valued and evaluated on a common platform. The implementation approach is dependent on the proposed strategies, the goals and objectives of the organization. In this case, it is inherent to note that the goal lies within the need to meet two extremes. One is to ensure that the veterans who are out of the war are not only catered for, but also they are treated as normal people and integrated back into the society. Therefore, other than starting to pity them and offering them unreliable help, it is essential to strengthen them and integrate them into the society (Shields, 2006). The duty of the communicating the message to be adopted lies with one of the stakeholders. There are several barriers that may arise where the stakeholders are involved. Collaboration with other departments is not a stronghold associated with any government. There are bureaucratic policies, regulations and laws that must be followed in order to ensure that an result is achieved. Therefore, the ideas that a Federal Parliamentary Library report that shows the distribution of Australian Victoria Cross winners by House of Representatives’ electorates is probable, such a communication will be founded on a volatile communication strategy (Howell & Miller, 2006). However, prior to presenting the motion in parliament, it is essential to understand the full requirements of the parties involved. The bill has to be formatted to capture only the needs of the parties involved and not indulge in political manipulation and other challenges. Based on the issues being faced by the RSL, there are some impacts that are to be experienced from the inclusion of external stakeholder collaboration. For starters, this is a public organization that is open to scrutiny and criticism from the public based on the delivery of service and the intentions, as well as the motives behind every action. Therefore, the proposition for the strategy to extend commemorations of the 100th anniversary of the Allied landings at Gallipoli will be met with some oppositions (Soldatovic, 2013). Not all the members of the public are happy with the way the taxpayers’ money is used, and it is from this perspective that the organization will face scrutiny. In addition to this, all the spending of the RSL and the Australian war memorial are subject to a budget that should be adhered to (Awm.gov.au, 2015). The constraints of the budgets indicate the maximum and the minimum finances that should be used in a proposition of a policy and the consequent enactment of the law. The spending of the military is controlled by the ministry of defence which in result fall under the guidance of the ministry of finance in the disbursement schedule of the finances. The implication is that is the department of finance does not accept the proposal to support the formulation of the policy and the later enforcement of the policy to a law, the ministry of defence spending will be negatively affected. Conveying the message will be used done using formal channels. Unlike in the private sector where some steps may be omitted in favour of the reducing the time for the proposal, scheduling, implementation and justification of the project, the public sector is keen in adhering to all the steps due to the aspect of transparency and commitment to serving the needs of the people (Smith, 2001). Power and influence lie in the political arena. It is the propelling body that governs the country and, therefore, there is no doubt that the proposition for a strategy to extend commemorations of the 100th anniversary of the Allied landings at Gallipoli will face influence from politicians. The categorization can be referred to as the needs of the veterans versus the needs of the state (Smith, 2001). On one hand, it is the parliamentary recommendation for recognizing and incorporating the 100th anniversary of the allied landings at Gallipoli. On the other hand, it is the voice of the people in need calling for their leaders not to subject them as symbols of victory while they are left to suffer the agony of the award. The interest of the two sides can be argued to differ. A conjoining or point of interest may be achieved if they were to share a common ground to project their views forward. However, it is at this juncture that the messaging and communication tactics become a challenge as one party is endowed with the influence and appears in the limelight. The people with people and who have the ability to further their agenda fall into this category. On the other hand are the real participants of the actual event. The latter are not considered as the affluence and influence of power makes them be overshadowed, and the greater good does not emerge. The needs of the defence forces are sidelined as the people will be in favour based on the message they receive and not on the facts on the ground. The target public is the Australian citizens who are the people that make up the defence forces and are directly influenced by the decisions made that affect their performance in the field. In addition to this, there are a number of enthusiastic people who keeps tab of the security status of the nation, they are also to be included in the information disbursement from a public arena (Kriner, 2011). Rallies and broadcasts are the major platforms to be used for communication and convincing the individuals on the need to be participants on the issues pertaining to the security of the nation. The last strategy that can be used to propel the conveyance of the message is through the word of mouth. People are more prone to respond to what they hear especially when it comes from people they know and trust. The implementation plan of the proposed strategy takes into account the available resources and the potential for meeting the needs of the users. It is through the adoption of a reliable implementation strategy that public relation strategies become successful. Prior to implementation, it is essential to identify the potential of the organization and relate it to the cost of the implementation (Soldatovic, 2013). To achieve this, a cost analysis benefit is carried out that is also incorporated together with the strength, weakness, threats and opportunities facing the organization. Managers may feel deprived of their power and control capabilities and will result in opposing the change (Ledingham & Bruning, 2000). This mainly occurs in an event where the change was not initiated by the management but a proposition of low-ranking individuals in the organization. For the case of VC, this may be mere soldiers with no positions in the firm. The success of a strategy implementation depends on the undivided attention and support of the management. If this support lacks, the policy is doomed to fail. Several key issues such as extensive management of time and allocation of resources, predictability and risk and metrics management must be evaluated for the success of the policy to be achieved. If the team has a negative attitude or a misguided misconception regarding the policy, then they will be opposed to the change making the approach seamlessly difficult (Smith, 2001). The fear of challenges in an unknown working and development environment is a common setback that hinders a majority of policy makers from changing their development tactics. End users may be opposed to the change as they lack understanding of how the process works therefore making them feel locked out in the management process (Soldatovic, 2013). Lack of implementation control leads the end users to fear being unable to allocate the budget, staff, time and resources according to their specifications. Other concerns that a majority of users are opposed to in this approach is the constant involvement and consultation with the policy makers which seems to take most of their time (Kriner, 2011). In the event management teams are included in the policy formulation team, an issue of managing the account is raised. Distributed resources, collaboration and communication between the different holders of the policy involved in the process is an issue of concern that arises where firms are considering adopting PR strategy. How will the policy makers collaborate with the end user and who will fund all the meetings? These are key issues and tenets that arise in the policy implementation stage (Soldatovic, 2013). In the end, the communication and collaboration are done at the cost of the policy maker. If the end user and the policy development team are in different geographic locations, a way to enhance communication such as via video streaming and teleconferencing is critical to the success of the process. Organizations that wish to adopt a public relation strategy policy must be flexible and incorporate the strategy from the initial phases. This is done to enhance the later phases of the policy such as changeover tactics (Theaker, 2004). A short term and long term evaluation of the needs of the organization must be done to understand whether the needs of the organization rhyme with the specifications of the procedure. If not, the organization must be prepared to change some of its processes to meet the needs of the policy recommendations. An organization has to be evaluated in terms of its strengths and weaknesses to understand whether it is ready to implement the policy and whether after the implementation the policy will be a success or a failure (SCHUM, 2001). Determining the degree of the values of the organization and it's creating in light of the stability has to be done by the top management. Stable organizations must be in a position to make independent decisions without consulting third parties. However, internal and external parameters influence on the evaluation criteria given to any organization. A ready organization should also have all the necessary resources to undertake and complete the implementation of the proposed policy. The policy proposition is initiated once the problem is determined, and a quest to mitigate or address the problem in its entirety is provided (SCHUM, 2000). Other than this the partnership with end users is an essential evaluation point that shows whether an organization is ready to incorporate more policies, new policies or simply a change in the existing policies or not. Assess the project portfolio-As seen earlier, the best conditions for implementing policies are on experimental and innovative projects. However, they are not good where the organizational needs and requirements are explicitly known and acknowledged. To assess a project portfolio, the executives of an organization should evaluate and determine which projects are best suited for policy proposition and development and management and which fall under the category of radical implementation scenarios that are dominated by politics and rigidity with no flexibility (Shields, 2006). Assessing the readiness of the lead policy maker is essential to determining the success probability of the formulated policy, the lead generation and the target audience captivity and acceptance levels. An assessment test on the policy lead can determine whether they are ready for the proposal and the consequent documentation and implementation of the policy from a mere statement into a bill or not (Ledingham & Bruning, 2000). In this assessment, one determines the degree of concern offered to the end user as compared to the guidelines for the policy. How flexible are the managers? If the managers stick to the original plan, then they are rigid and not ready. Flexibility provides room for change, and this can be initiated by the managers. Ready managers are also committed to the team, and they motivate, delegate and provide room for innovation and new ideas. Despite increased proliferation in the need to adopt and implement a new policy, there are underlying key factors that need evaluation to determine the authenticity and justification of the policy. There are several driving factors in the industry such as internal rivalry and competition for power to be seen as the best in the leadership of the country. Some of these reasons are misguided and act as leads for degrading the quality of the public relations. Some leaders in an attempt of maintaining a flawless image in the eyes of the public end up doing heinous things that degrade the image of the government and the institution being presented by the leader (Bailey, Horstman, Berger & Fells, 2000). However, the focus should not be lost towards the underlying requirement that I to address the plight of the veterans who are subjected to mischief unknowingly. The policy implementation process using the approach formulated in this paper is a goal-oriented approach, unlike the former traditional approach. The needs of both parties are taken into account including the requirements of all the stakeholders involved. In this process, the goal lies in meeting the needs of the end users, providing a high quality and acceptable policy that can be evaluated and implemented into a bill that will ensure the needs of all parties and especially the extension of the strategy to include commemorations of the 100th anniversary of the Allied landings at Gallipoli (SCHUM, 2000). The goal as seen in the introduction of this research lies in the need to eliminate the challenges encountered in the organization’s VC award. To escape the constraints and challenges of the process, and to provide a highly responsive and quality policy, the approach formulated has a well outlined time schedule (Bailey, Horstman, Berger & Fells, 2000). The time schedule complies with the development principles of the policy from the analysis of the organization, identification of the problem, formulation of proposal and documentation as outlined in the manifesto of the policy formulation. Ledingham, J., & Bruning, S. (2000). Public relations as relationship management. Mahwah, N.J.: L. Erlbaum. Theaker, A. (2004). The public relations handbook. London: Routledge.